I am no Mormon, but I have witnessed bigotry and ignorance directed against this American community. The LDS Church is placed in the difficult position of seeing their most sacred beliefs mocked in a nation that murdered their prophet in a shameful lynching. Broadway has given aid and comfort to the mob of ignorant folk who know nothing of modern Mormonism outside of their prejudices. Theater has an ugly record of pandering to the prejudices of ticket buyers. Minstrel shows produced catchy music and made New Yorkers laugh, but they were shameful and wrong. The Book of Mormon is a minstrel show for our present age with Mormons as the joke. Of course no group has been as cruelly treated as African-Americans, but Mormons have a history of being persecuted. They have been exiled in their own land, but have returned unfailing devotion to our Constitution. This new play will pander to our prejudices and treat our Mormon neighbors as we would never wish to be treated. Some Americans will allow it to confirm unthinking prejudice, while cowardly Mormons will applaud it hoping for crumbs of respectability. Meanwhile the actual Mormons in our midst will keep paying taxes, making strong families with children, and dying to protect the rights of a decayed and decadent theater 'elite.' I stand in solidarity with my Mormon neighbors. On Faith Blog: "Why I Won’t Be Seeing the Book of Mormon Musical"
2 Is the Mormon Church Doing Any Good in Africa? In the Book of Mormon Musical the Mormon missionary who converts the Ugandans does so without a real knowledge of the scripture he is teaching. Because of his lack of knowledge, he weaves in mythology from Star Wars and The Lord of the Rings. But the real Book of Mormon is not a myth, but the story of a branch of Israel, descendants of the tribe of Joseph, who were led away from Jerusalem just before the Babylonian Captivity. The Lord led them to the American continent, where they kept the Law of Moses, looking forward to their Messiah, Jesus Christ, whom their prophets knew by name. After His resurrection, Christ visited them. Because they were more righteous than the Jews in the Old World, Jesus taught them the higher laws of the gospel, and after choosing twelve apostles and organizing His Church, ordained them to the higher priesthood and established a nearly Utopian society that lasted over 200 years. However, the population then descended into horrible wickedness and destroyed themselves through bad government, organized crime, and violence. The Book of Mormon is the history, religious and secular, of a fallen people. This is no laughing matter, for the Book of Mormon was compiled and delivered to us of modern times as a warning and teacher to save us from utter destruction upon the Second Coming of Christ. Anyone who reads it and sincerely prays to know if it is true will receive that verification directly from the Lord. The Book of Mormon Musical also has great fun at the expense of Mormon missionaries, of whom there are over 80,000 serving at any given time. Mostly young men between the ages of 18 and 21, and increasingly young women between the ages of 19 and 21, they serve for two years at great personal sacrifice because of their testimony of the Savior. They pay their own expenses and leave education, sports, careers, family, hobbies, and girlfriends behind. They are often homesick, frustrated by trying to learn a new language quickly, often worn down by constant rejection, put off by foreign food, and struggling to adapt to new companions. They do this out of a desire to serve and serve in ways beyond preaching the gospel, doing community service and mobilizing in times of disaster to give aid. Wherefore, confound your enemies; call upon them to meet you both in public and in private; and inasmuch as ye are faithful their shame shall be made manifest. Wherefore, let them bring forth their strong reasons against the Lord. Verily, thus saith the Lord unto you—there is no weapon that is formed against you shall prosper; And if any man lift his voice against you he shall be confounded in mine own due time. Wherefore, keep my commandments; they are true and faithful. Even so. Amen. 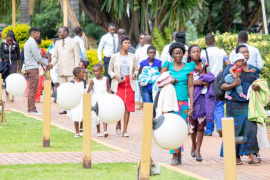 Is the Mormon Church Doing Any Good in Africa? Part of the premise of the play is the sending of two eager young male Mormon missionaries to Uganda, where they discover that all their training and talents are useless when faced with the overarching problems (such as AIDS and poverty) of Africa. Is this really the case? No, it is not. 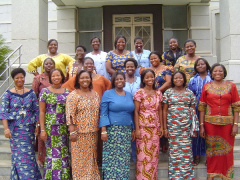 The LDS Church is growing quickly in Africa and is not only bringing its members out of poverty, it is educating its members to live the Law of Chastity and to respect women. 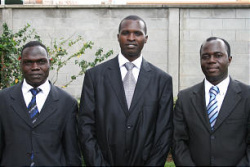 The Church also emphasizes education and sends senior missionaries to train members in hygiene and health care. The Church also provides a great deal of Humanitarian Aid in Africa, and senior missionary volunteers help with efforts on the ground. 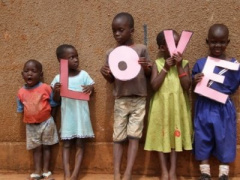 Mormons have also founded their own non-profits to perform service in Africa (see links below). 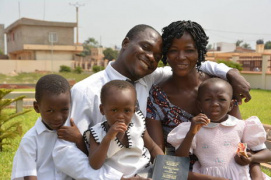 Here are some images and videos of African Mormons. Compare them to the images you usually see coming out of Africa and see whether the Mormon Church has had a good influence there. 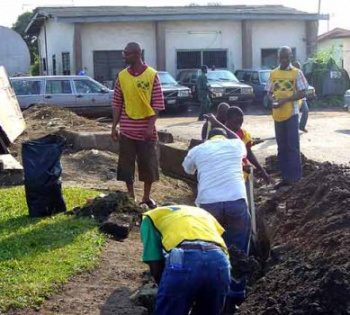 The Church of Jesus Christ of Latter-day Saints and organizations created and led by Mormons do much humanitarian aid work in Africa. 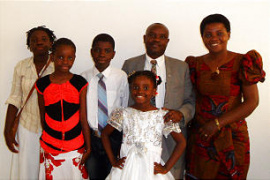 The Church has ongoing programs, such as clean water initiatives, measles vaccination initiatives, and neonatal resuscitation training, that operate in Africa. 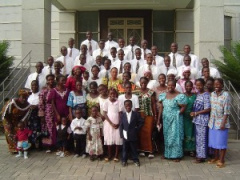 The Church sends humanitarian aid missionaries to many locations, but also organizes African Latter-day Saints to provide service in their own countries. According to church records, in the past seven years (from the time the musical was introduced), more than four million Africans in 17 countries have gained access to clean drinking water through Mormon humanitarian efforts to sink or rehabilitate boreholes. More than 34,000 physically handicapped African kids now have wheelchairs through the same Mormon-sponsored humanitarian program. To see a legless child whose knuckles have become calloused through walking on his hands lifted into a wheelchair may be the best way to fully understand the liberation this brings. More than 126,000 Africans have had their sight restored or improved through Mormon partnership with African eye care professionals in providing training, equipment, and supplies. Another 52,000 Africans have been trained to help newborns who otherwise would never take the first breath. Training in neonatal resuscitation has also been a big project for Mormons in Africa. James O. Mason, former Assistant Secretary of Health for the United States, and now a General Authority of the Mormon Church, recently received recognition from the Utah AIDS Foundation for his work in combating AIDS and HIV. The Church continues to offer emergency aid to Africa, including during the flooding in Niger, where the Church provided clothing, quilts and hygiene items to 20,000 people in six inundated regions of the country. 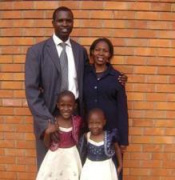 The following are links to articles regarding Mormon humanitarian aid in Africa. Mormons Provide Help in Mozambique. This page was last edited on 17 April 2019, at 09:41.